For his current residency and first solo exhibition in France at Confort Moderne, the American artist Daniel Turner refers to the historic and industrial heritage of the Confort Moderne and the region of Poitiers. 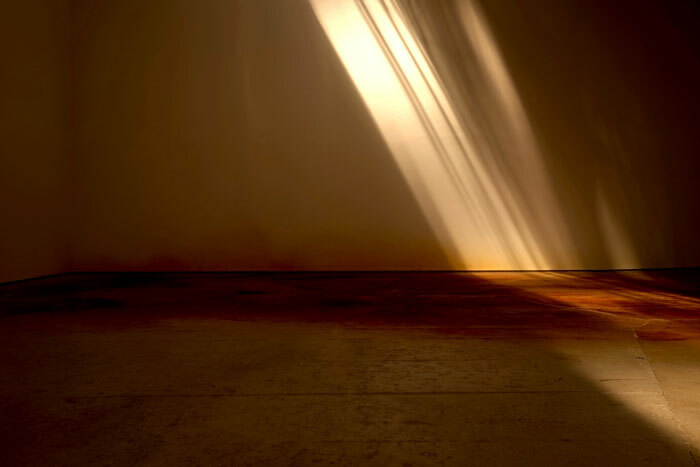 Turner works primarily in sculpture involving the creation or manipulation of materials, objects and environments into tactile atmospheric forms. These forms are often characterized by a specific response to site under a controlled set of processes. This approach has enabled Turner to base form on transposition, allowing the artist to distill environments directly into the realm of public architecture. These elements are present in former works where an entire waiting room is cast into a series of solid bars, a former psychiatric facility reduced to a darkened stain against an exhibition wall, or a cafeteria dissolved across the expanse of a floor. 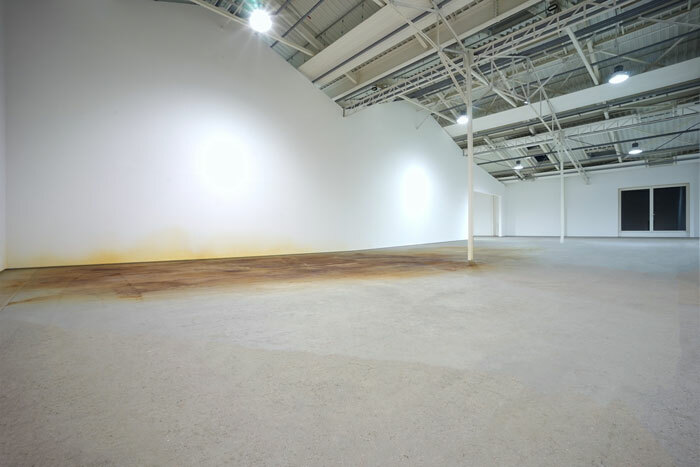 For his exhibition at Confort Moderne, Daniel Turner will work partially in situ, in relation to the spaces at his reach, and their various materialities. The forthcoming exhibition will focus on a series of excavated structural IPN beams once used to support the industrial factory dating 1910 where the Confort Moderne currently stands. Mining both architectonic and historic foundations, Turner will process these beams on site preserving a hypersensitive link to geographical location, cultural association and human contact. 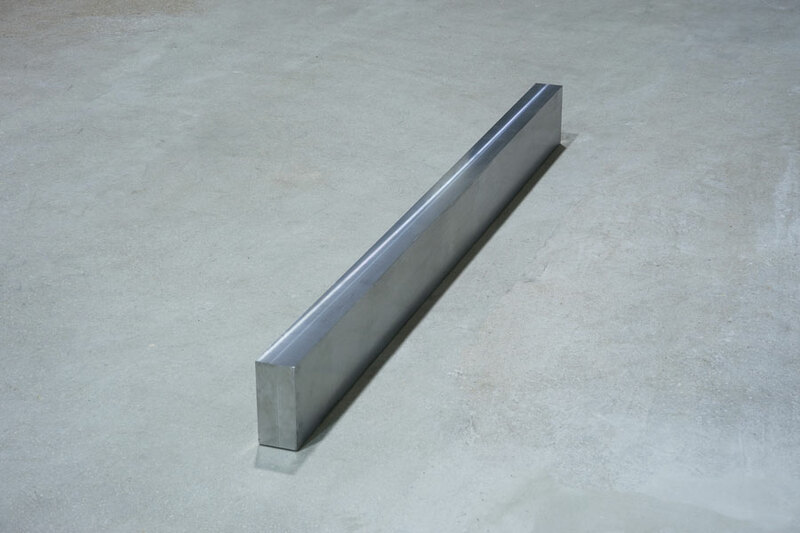 Turner’s sculpture is often established by reductive relationships to structure. 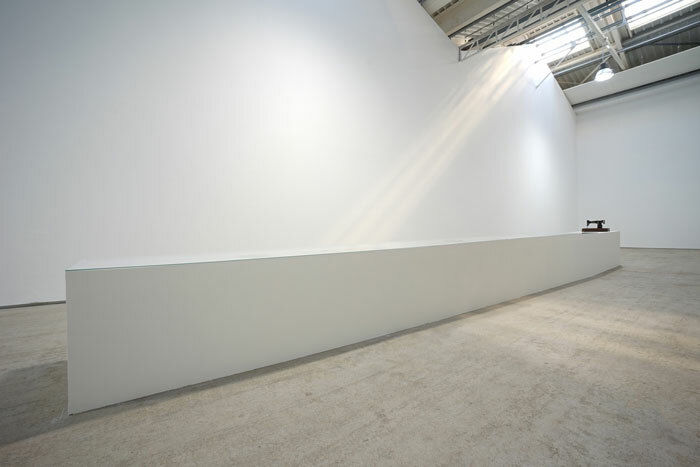 However, he also constructs significant semi permanent walls within the exhibition, creating a series of protocols on the space’s prospective use. While Turner actively engages with institutional assessment, his stark yet considerable gestures continually signal the perceptual. This exhibition is developed in partnership with La Filature, based on the archive and research of ethnologist Jacques Chauvin. Daniel Turner was born in Portsmouth Virginia, USA in 1983. He studied painting at the San Francisco Art Institute and currently lives in New York. His work has been exhibited at the Chinati Foundation, Marfa Texas, New Sorbonne University, Paris France, Kunstmuseum Krefeld, Krefeld Germany, Galerie im Taxispalais, Innsbruck Austria, The Virginia Museum of Contemporary Art, Virginia Beach, Virginia, Centre for Contemporary Art Ujazdowski Castle, Warsaw, Poland and the Muzeul de Arta Cluj-Napoca, Cluj, Romania. The Confort Moderne was originally built in 1910 as part of the largest textile factory in the region. It then became a foundry from 1934 onwards for agricultural and mechanical parts before becoming a producer of artillery during The Second World War. From the early sixties to late seventies it became a site for the storage of masonry materials and rental parking lots. From 1976 to 1984 the building served as furniture and appliance warehouse store called Confort 2000. Since 1985 forward the building was invested by the organisation L’Oreille est Hardie. The site was purchased by the Ville de Poitiers in 1988. It remains a institution of culture dedicated to music, research, and the arts. Daniel Turner was born in Virginia, USA in 1983. He studied painting at the San Francisco Art Institute and currently lives in New York. His work has been exhibited at the Chinati Foundation, Marfa TX, New Sorbonne University, The Virginia Museum of Contemporary Art, The Prague Biennale.